TICKETS FOR SEUNGHEE LEE ON MAY 16 CLICK HERE. Seunghee Lee is a multi-faceted musician, international recording artist, and musical entrepreneur, Seunghee (Sunny) brings a vivacious energy, an exquisite elegance and extraordinary precision to all her endeavors. 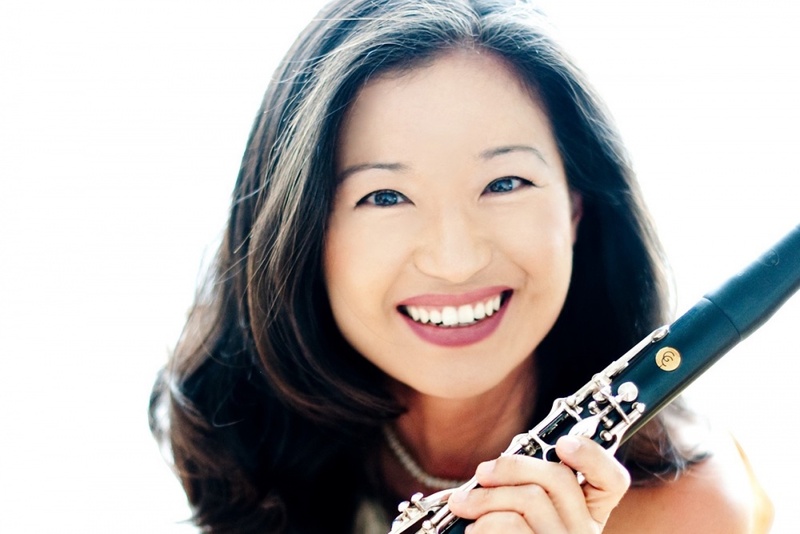 Ms. Lee has been recognized by the Clarinet Magazine as “an uncompromising soloist, destined to be an upcoming contender of top stature”. Sunny’s 2017-2018 season included a tour of northern Italy performing the Mozart Clarinet Concerto, visiting professorship at Yale School of Music, and a Sold-Out debut recital at Carnegie Hall. An advocate for exploring new ideas, embracing all musical genres, one of the greatest highlights was her collaboration with DEEPAK CHOPRA on his new album & book: HOME: Where Everyone is Welcome, a collection of thirty-four original poems and twelve songs inspired by a diverse group of immigrants. Click here to listen to Sunny performing “Gabriel’s Oboe” with composer Andrea Morricone, who is also the composer of the “Love Theme” from Cinema Paradiso, which you can hear Sunny perform here. Join us for, “Artistry & the Artist, a great night of music and storytelling. TICKETS FOR SEUNGHEE LEE ON MAY 16 CLICK HERE.